My makepositive journey has been extraordinary. I started off as a Technical Associate almost four years ago in Gurgaon (India) with only a vague idea of what I wanted to do with my career in Salesforce. Shortly afterward, I became a part of the Managed Services team, which, on reflection, was a significant turning point in my career. I’ve worked as a Technical Consultant in Managed Services for a while now and have learned a great deal about the Salesforce platform and the ecosystem in which we operate. I am particularly proud that I also had the privilege to head up my team in the India office as our Managed Services Team Lead. Managed Services can be an extremely challenging but always an exciting department to work in. Every day is completely different to the other. Our primary role is to enable clients to achieve maximum benefits from their Salesforce investment. This can range from solving complex technical enquiries through to highlighting best practice. Salesforce, like most technical solutions, is constantly evolving. With three releases per year it can be hard to keep up, so one of our roles is to support clients with any changes they may need to be aware of. Now I am heading for an even more exciting opportunity as I have progressed to the position of Service Manager based at our London office. This requires me to devote much more time to be with our clients personally. 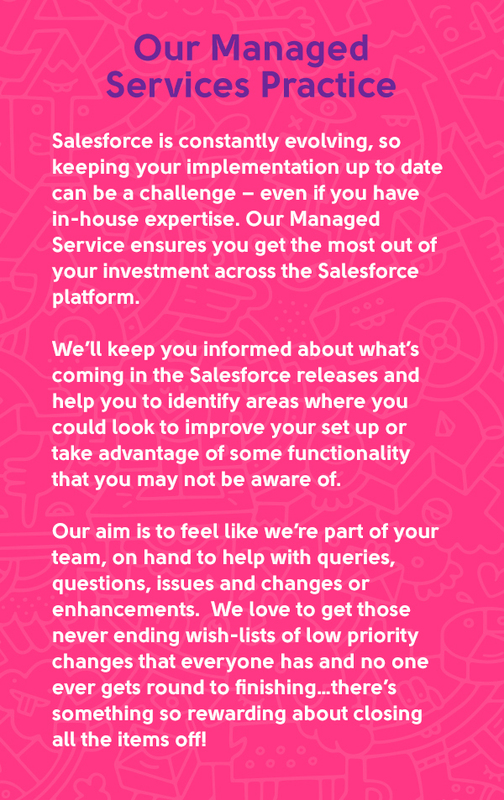 From analysing and presenting case trends, helping define Salesforce roadmaps, sitting in on requirements gathering workshops, my role is to help our clients derive greater value from Managed Service as well as our overall goal of great value from Salesforce licences. I’ll be working with the makepositive Leadership Team as we continue to improve the makeopositive Managed Service as well. I have been really blessed to have discovered makepositive and especially to be able to carve out a career path in Managed Services. This organisation hasn’t been anything less than a “Dreamcatcher” for me… and here I am living my dream in London! Click here to talk to us about Managed Services. No comments on "My Journey from India to makepositive London"